FilmoraGo is a powerful yet decent free video editor to edit videos on your smartphone whether you use Android devices or an iPhone. This program is easy to use with intuitive user interface, many advanced editing tools, filters, overlays and fast video rendering speed. We highly suggest you try it! FilmoraGo is among the best free video editors available on the market you can try now! FilmoraGo free version will leave a short watermark at the end of the clip. 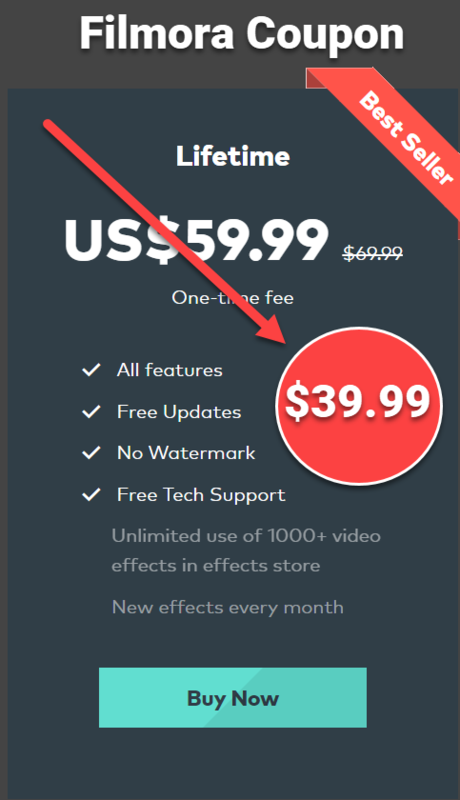 It’s not 100% free without watermark as described. Once the project is finished, remember to save it to your device, open built-in video editor on your phone and cut out this part if you want to use your video for commercial purposes. Maximum output resolution you can export in FilmoraGo is 720p (HD quality) only no matter what resolution you captured. It’s a little bit tricky when they, Filmora, don’t clearly notice this information to users. This application doesn’t have in-app ads and it contains dozen of free filters and themes. However, not all these stuff are free. Some special effects cost money. FilmoraGo has no relationship with its desktop video editing program (Filmora Video Editor) which means if you purchase this application, you’ll get the license for it only. It’s clean and simple to use for anyone. It does not contain annoying ads like many other free applications. It has tons of advanced video editing features such as play in reverse, slow down & speed up, packaged with tons of text titles, filters, overlays and transitions. Has audio mixer to adjust video sound, add background music easily. Export video in HD quality without time limit. It will leave a watermark at the end of the clip in free version. To remove it, we’ll need to cut and render our clip again with another video editor. This is a time consuming procedure. Max resolution is 720p. Most of our footage is captured in 1080p, why should we accept to reduce it to 720p? I hope they will soon upgrade this feature. Free to download and use with logo at the end of the clip. If you want to have more control on your project, I suggest you choose a video editing software to use on your Desktop instead of a mobile application. However, if you only need to make funny videos to share with friends directly on your smartphone, FilmoraGo is a great choice for now. How To Share Your Knowledge Online?